Truffle is the name given to the fruit that grows under the earth in the form of lumps. Our country, soil structure, which is essential for the growth of the truffle, which contains all three of the climate and annual rainfall features and supports the development of truffle. High economic value species; Tuber magnatum Pico., Tuber melanosporum Vittad., Tuber aestivum Vittad., Tuber borchii Vittad. Tuber aestivum and Tuber borchii are grow naturally in our country. Türkoğlu A, Uluçoban N, Sourzat P (2014). “Truffle Cultivation ın Turkey. Fifth Congress of the Tuber aestivum/Tuber uncinatum European Scientific Group”, p. 45-46. 9-13 of April. 2014. Rabat-Morocco. Türkoğlu A. (2015). “Yeraltındaki Gizli Hazine: Trüf Mantarları”. T.C. Orman Ve Su İşleri Bakanlığı Orman Genel Müdürlüğü. Türkoğlu A, Castellano MA (2014). “New records of Ascomycete truffle fungi from Turkey”. Turk J Bot 38: 406-416. Castellano MA, Türkoğlu A (2012). “New records of truffle taxa in Tuber and Terfezia from Turkey”. Turk J Bot 36: 295-298. T.C. Orman Ve Su İşleri Bakanlığı Orman Genel Müdürlüğü. “Trüf Ormanı Eylem Planı”. 2014-2018. Türkoğlu A. “Yeraltındaki Gizli Hazine: Trüf Mantarları”. Ekoloji Dergisi 2014/2: 42s. ISNAD Çaka, Şerife , Türkoğlu, Aziz . "SOME COMMERCIAL TRUFFLES AND THEIR NATURAL HABITATS". Mugla Journal of Science and Technology / (May 2016): 13-14. 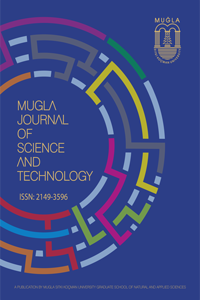 Mugla Journal of Science and Technology (MJST) is licensed under the Creative Commons Attribution-Noncommercial-Pseudonymity License 4.0 international license.